Suntan, boardwalks, and memories. We brought life back to the website of America’s favorite family vacation resort. Our website designs don't just look cutting-edge — they are cutting-edge. We design websites that are forward-compatible, meaning they'll continue to function properly and look sharp on all future browsers and devices. No matter what new phone may come out next month, or what new resolution may be required, your site will respond appropriately, thanks to the power of forward-compatible technology and out-of-the-box responsive design. When you partner with us, you get more than winning website designs, too — you work with an award-winning web design firm that specializes in custom web page design, usability analysis, user experience testing, web page redesign, and more. For clients looking for brand new websites, our dedicated website designers will create your website from scratch. We’ll collaborate with you to develop and design a website that captures your brand, as well as conversions. No matter your choice, you can trust you’re partnering with an industry-leading team behind dozens of award-winning website designs that not only look good but perform as well. After all, WebFX drives results you can see. To market your business online, you need a unique, functional, and aesthetically pleasing web design. So how can your website reach these goals, all while driving traffic and conversions? It’s time to find out, as we’re showcasing our web design agency’s process for creating effective websites. Plus, we’re explaining how much websites cost and what you should expect when you hire a web design agency. There are thousands of web design agencies all over the world. Though they each have different strategies, use different techniques, and utilize different tools, their goal is the same — to create user friendly, aesthetically pleasing websites for their clients. The purpose of a web design agency is to create an online presence that increases conversions on your website, while providing a positive user experience for their visitors. Aesthetics and ease of use are at the top of most web designers’ priority lists, but the best web design agencies also consider the ways that their design will improve conversions for their clients. Keep reading to learn a few of the critical elements that impact your website’s conversion rate. When you visit a website, you form an opinion of the business based on how the design makes you feel, how the content is organized, and how easily you can find the information you’re looking for. Your company’s website allows you to make a first impression on a potential customer before they ever visit your storefront or office — and that’s exactly why an aesthetically pleasing design is so important. Our design agency creates stunning award-winning designs by paying attention to the following elements. A good web designer will consider color scheme in terms of how it fits with your company’s message and feel. Your colors should work to enforce your brand, and set the tone for how you want your visitors to perceive it. The way your colors work together is important to the overall tone and engagement with your website. There are even some palettes that designers already know work well together. 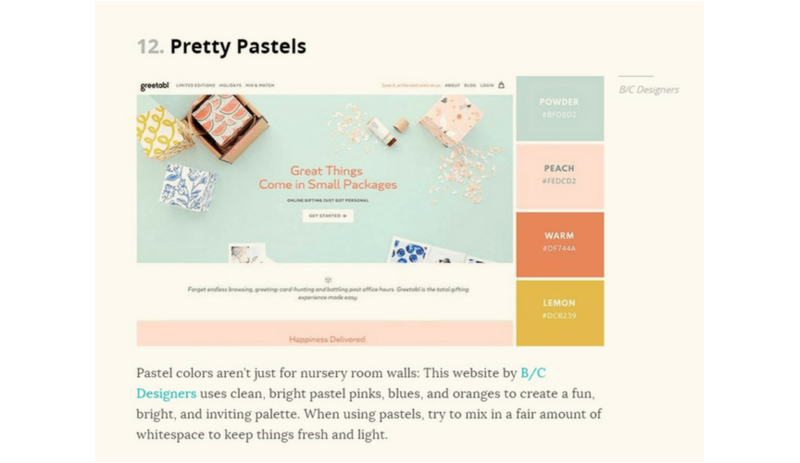 The importance of color palette in a website is often underestimated, but 60 percent of website visitors subconsciously accept or reject a website based on its color scheme. Our web designers consider a few different things when choosing the colors for your website. First, they’ll consider your product or service, and whether there are any color schemes that perform well with your target demographic. For example, if you’re a pricey boutique in New York City that caters to middle-aged women, your New York City web designer may recommend colors that pique the interest of your target audience. They’ll select colors for your text, backgrounds, navigation, and other elements, and combine them in ways that complement one another well. They’ll determine which colors work best for buttons and calls-to-action, so that they stand out and attract clicks. It’s also a web designer’s job to ensure that there aren’t too many colors on your page, since it can make your website look cluttered. Let’s start by defining the difference between font and typeface. The two terms are often used interchangeably, but they refer to two different things. Imagine that there are three brothers. Each brother has the same facial features, making them similar and related, but each face looks slightly different. Each brother would be a specific font within the typeface. For example, “Segoe” is a typeface, while Segoe script, Segoe UI light, and Segoe UI semi bold are all fonts. Fonts and typefaces are extremely important to web design, much like color scheme. Most web designers will choose a typeface and stick with it. Using multiple typefaces on a website can make it look cluttered and give visitors a poor impression of your business. It’s acceptable to use different fonts, but it’s best to stick to one or two consistent typefaces. You can change the fonts for headings (which could be bold) and body text (which would be regular), for example. Varying fonts can help establish your message. If there is something that you want to highlight on a page, font size and weight can help establish a hierarchy of what is important and what is secondary information. Font and typeface are also important because they keep your pages consistent. Most likely, you’ll have different elements and layouts on each page — but your font and typeface should remain the same, and give your site a cohesive feel. Finally, your font can help your website convey your company’s message. For example, if you own a children’s clothing store, your designer might suggest a fun, kid-friendly font — but if you own an upscale boutique, your web designer may recommend a scripted typeface. No matter what font and typeface you choose, it will fit with your brand’s message, feel, and purpose. Your layout is an important part of web design because it helps users navigate your website. Your web designer will create a layout that speaks to visitors in a way that presents the most important information first, and ensures that they stay engaged the whole way down the page. They’ll also make sure your layout is easy-to-navigate and guides users to the most important parts of your website. Multimedia elements, like images and video, are essential for success online. Without them, your website can fall flat and appear boring to visitors. Adding them allows your website’s design to take shape and keep users on your pages longer. Your designer should ensure that your website’s text and multimedia are proportionate and optimized for the Internet, and that photos and graphics are placed in locations that have the most value to customers. Your designer will also determine the best way to incorporate images throughout your website, since they allow users to see what you’re talking about in your body text, instead of just reading about it. Your photos should depict your products or services, as well as your team, your facility, and any other elements that would build trust with users and encourage them to convert, whether by calling, emailing, or visiting your location. For example, if you offer a product that can help bakers ice the perfect cupcake, your web designer would include photos showing the result of your product. You may also include images of influencers in your market, such as a well-known baker, using your tool. With images, you bring life to your pages. That can help you convert more of your target audience, as you’re showing the direct value and impact of your product in their lives. Instead of struggling to ice a cupcake for five minutes, they can do it in two with your product, for example. Videos are a multimedia element that encourage users to stay on your pages. They can also help users connect to your brand and products, which can lead to improved brand awareness, conversions, and social shares. While announcement videos are an excellent way to engage your target audience, make sure you create videos that offer value to viewers. With our web video production services, our team can help you develop and make videos that start conversations, drive conversions, and earn shares. 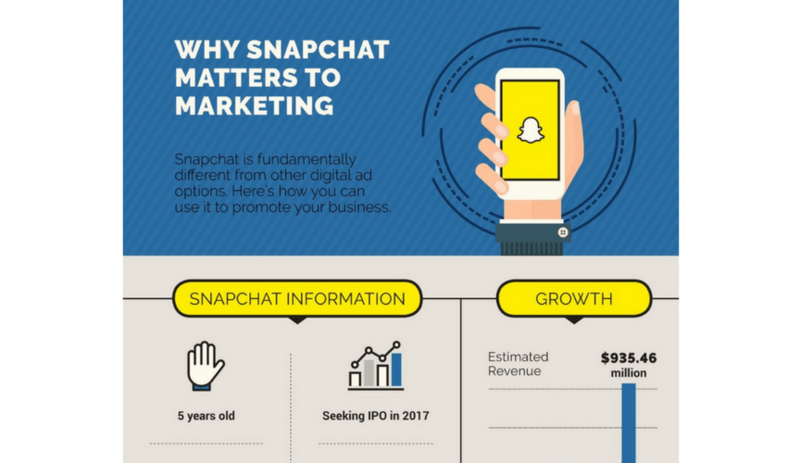 Infographics are a fun way to engage users with information, and they’re also easy to share in your email campaigns or on social media. Your web designer can include infographics and mini graphics to any page on your website, such as a product page or blog post, for added interest or to illustrate an idea in depth. Easy navigation is extremely critical to the success of your website. Our award-winning web designers recognize that. Before we begin designing your website, we develop a navigation that goes hand-in-hand with your redesigned or customized website’s aesthetics. That way, when potential clients arrive at your website, they’re ready to stay awhile. The most basic form of navigation is the navigation bar, typically located at the top of your pages. This bar is home to different categories and sub-categories that allow users to find exactly what they’re looking for on your website. Our web design agency will create a navigation bar that is built into each page, as well as drop-down menus that are organized and cohesive with the rest of your website. Calls to action, or CTAs, are a part of web design that directly influence conversions, so they are just as much as part of your web design as your navigation, color scheme, and layout. Whether our designers create forms, buttons, or in-text CTAs, they’ll make sure they engage and encourage viewers to act. A few examples of CTAs include an invitation to call your team, join your email subscriber list, share your blog post, or visit your storefront. In all instances, your CTA should stand out from the rest of your page and encourage viewers to take action. With more mobile Internet users than desktop Internet users, you should always create websites that consider mobile users. The fact that Google offers mobile-friendly websites a boost in organic search results is another reason to support a mobile-friendly website. Creating a mobile-friendly design is part of your web designer’s job. They will work to make sure that navigation bars are easy-to-use on mobile devices. They’ll also make sure that photos, graphics, and videos are mobile responsive, and that you can easily zoom in on page elements. At WebFX, we ensure you receive the best possible results from your website. When you partner with us, our award-winning designers will work to deliver a website that reflects your brand, sets you apart from your competitors, and helps you reach your company’s goals. Plus, they’ll make sure it’s a website you and your team love. Before starting on your web design, your dedicated project manager will get to know your company. While some web design companies want to use a cookie-cutter approach to develop a website, that’s not our style. We’ve worked with companies from a variety of industries and niches and recognize that every company is different. That’s why we want to capitalize on your company’s unique features when creating your website. When you chat with your project manager, they’ll discuss your specific project goals, the audience you want to target, keywords you want to rank for, and your competitors. They’ll also learn more about your company’s branding standards to ensure your website matches them. Afterward, we’ll mutually agree on dates for us to share and discuss the progress of your website. With your goals discussed and your existing website researched, our team will work together to create a sitemap. That sitemap will act as an outline for your website. We’ll then match you with three trusted designers from our team — which is all in-house — that fit your design preferences and business niche. Then, it’s time to start! Ready to Start Your Custom Web Design Process? From there, your designers will start creating a prototype of your website’s homepage. Your project manager will pick two of the best designs and pass them along to you. You’ll always get the final say. After you give a design a go-ahead, your project manager will perform user testing to make sure that the design will generate conversions for your business. In coordination with your new website’s design or current website’s redesign, we’ll use Google Analytics to analyze your website. Our goal? Find out which pages have the most value, what pages could use improvements, and which pages are stagnant. We’ll even run A/B tests to see the impact of different design features, such as the color of a CTA button, and heat map tests to see important metrics on what page elements are most important to users. Conversion testing is extremely valuable to your web design because it allows you to see what elements increase sales and which elements could use edits to deliver the best possible conversion rate to your business. You’ll review the prototypes, choose your favorite, and your project manager will run more user tests to ensure that your entire website is promoting conversions — not just your homepage. At this stage of the web design process, your designer will create interactive elements that take your web design to the next level. This includes elements like sliders, changing displays, custom maps, and more. You’ll then have the opportunity to review the elements and make edits before we implement them in your design. After you’ve reviewed every element of your website, our developers will build out the site. If you’ve purchased our SEO package., we’ll also optimize your website and its content for search result rankings, which can help you drive more traffic, leads, and conversions. Once we’ve built your site, we’ll test every aspect on different platforms and browsers to ensure that it performs in a way that will increase your conversions and overall results. After making all your desired edits to the website, we’ll do an official site launch and your website will be live! It’s an exciting time for your team, as well as ours, as each website launch contributes to our #FXBuilds program, which sees our team give back to communities around the globe. WebFX doesn't just create great-looking websites that win Horizon Interactive Awards year after year (although we do that, too). We design websites with search in mind. The sites we create rank better, appear in searches for more keywords, and experience higher returns on investment. Pretty and practical — what’s not to love? Several factors determine how much your web design will cost, and that’s why we’ve created an easy-to-use project quote calculator that can give you an idea of how much your website design will cost with WebFX. The cost of your website depends on a few factors, including the number of pages you’ll need, the style of your design, how many new pages you’ll need written, database integration, CMS, and more. Are you searching for the right web design agency for your business? If you have a website that isn’t driving the results you desire, or if you just want an update, WebFX can help. We’ve created hundreds of websites for our clients that have increased their conversions and overall success, and all our design work is done by our award-winning in-house designers. Our website redesign for Ceramcor, for example, led to their annual revenues increasing by 85 percent. Want to discuss your design options with WebFX or learn more? Contact us today for a free quote!